Iran’s Foreign Ministry spokesman described support for Palestinians as Tehran’s unchanging policy, and dismissed any preconditions for relations with the other countries, including Germany, whose vice chancellor has called for recognition of the Israeli regime by Iran. 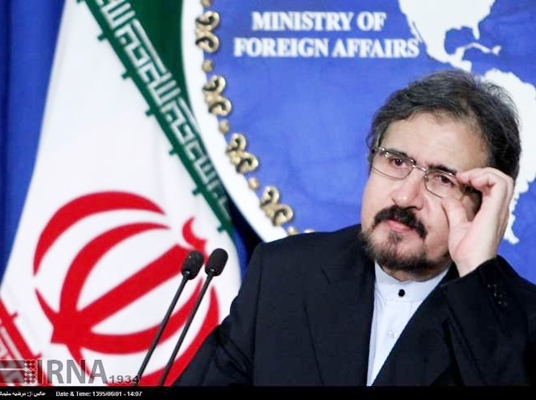 Foreign Ministry Spokesman Bahram Qassemi made it clear on Friday that ties between Tehran and Berlin are based upon mutual respect and interests, stressing that no precondition will be acceptable for the bilateral relations. As regards the comments by Germany’s vice chancellor and minister of economy and energy, Sigmar Gabriel, about Palestine and Israel, Qassemi underscored that advocating the rights of Palestinians is an indispensable part of Iran’s foreign policy and that the Islamic Republic will by no means give up supporting the cause of Palestine. “The Islamic Republic of Iran will not let any country interfere in its internal affairs,” the spokesman added, in reaction to reports that Gabriel has plans to raise concerns about Iran’s human rights record in his upcoming visit. Qassemi further highlighted Iran and Germany’s potential for cooperation in all fields, recommending the German officials to make comments more carefully and be aware of the attempts by the ill-wishers and those seeking to undermine Iran-Germany ties.